According to predictions from the 1960s’ The Jetsons, we should be well on our way to driving in flying cars. Despite the abundance of recent innovations in the automobile industry, flying cars remain beyond us. But, there are a number of innovative car technologies that are already improving our lives. We can expect these 5 innovative car technologies to become fully realized in the near future. Driverless car technology has improved leaps and bounds over the last few years. According to The Verge, it’s expected that we’ll see some of the first autonomous cars built without traditional controls like steering wheels and foot pedals, but we won’t see fully autonomous vehicles out on the roads for another 5 to 10 years. However, we might not have to wait as long for semi-autonomous driving to become mainstream. In its current state, self-driving technology is best suited to smaller areas where it’s easier to regulate traffic, such as college campuses and retirement communities. That means autonomous cars will tend to be restricted to rural areas in busy city centres with low population density for safety reasons. Automatic emergency braking systems are an example of autonomous vehicle technology currently being integrated into cars. Cars with this function can override driver controls to brake when they deem necessary. This feature may sound scary, but it’s proven to enhance in-car safety. If you’re about to back into another vehicle, the sensors on the car will automatically apply the brakes. The switch to keyless entry has already taken off, found in most car models today. However, you should expect to see another change in how we access our vehicles. By applying the same technology from the iPhone X, biometrics is set to take over the automotive industry. Soon, all you’ll need to enter your vehicle is your fingerprint. With the rise of retina scanners, it won’t be long before you’ll be able to use your eye instead. While much of the new emerging car tech is going to benefit the consumer, comprehensive car tracking will probably play less in the favour of the driver, and more in the favour of insurance firms and governments. However, a benefit could be insurance firms’ charging of lower fees for drivers who voluntarily have their cars fitted with tracking devices. But, it’s anyone’s guess as to whether this kind of tech will remain on a voluntary basis. We’ve all read articles about how companies are tracking our behaviour online for customized and targeted marketing. As our vehicles become connected to the internet too, we may expect to see targeted marketing based on driving behaviour such as frequent destinations. Remote car shutdown technology allows for the shutting down of stolen cars. This has the potential to save many lives and reduce police chases. 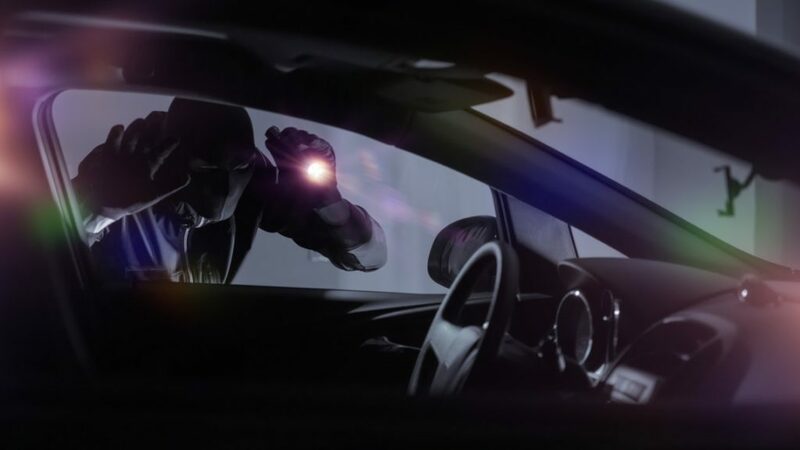 As we become more and more familiar with the concept of remote car shutdowns, our ideas about car security are sure to change. These emerging technologies form the basis of a strong long-term investment thesis. The Evolve Automotive Innovation ETF (CARS) provides investors with access to global companies that are involved in developing electric drivetrains, autonomous driving or network connected services for automobiles.